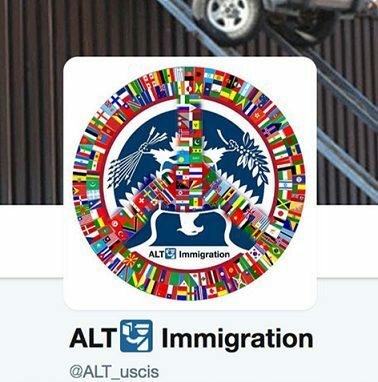 On Thursday, 6th April the social media company,Twitter filed a suit against the U.S government after it received summons from Homeland Security to reveal the identity of the person or people behind the Twitter account @ALT_uscis. The account is one of many dozens of accounts that sprang up after the inauguration of Donald. Ttph account holder is believed to be a current or former Immigration Services employee. In its suit, Twitter argued that people who had set up accounts to voice their dissent against the government and who might themselves be part of the government would be at risk of harassment and retaliation if their identities were revealed, not mention, lose their jobs in the process. For Twitter to comply with the DHS order it would have meant the social media platform had no regard for the first amendment. Social media platforms like Twitter are modern forms of expressions that even Trump himself has used to send incendiary messages and criticism before his election and even after. America prides itself on the upholding of the first amendment act and had a long history of protecting government critics. Twitter itself has a history of standing by the First Amendment. In 2012 it filed an appeal in the New York State court to protect the identity of an “Occupy Wall Street” protester and it has sued the Federal government before over whether government can compel it to provide user data when state agencies request it. Previous administrations have had running battles with Facebook, Google and other tech companies like Apple over access to user information. Last year Apple went into a contentious battle with the Federal Bureau of Investigations over unlocking an Apple phone that had belonged to the man who killed 14 people in San Bernardino. Apple refused and stood their ground and the FBI had to find another way to do it. The new standoff between Twitter and the government might be different because there is no new technology that needs to be created to unmask Twitter users. Twitter encourages social conversations and they cannot be seen to be another government tool that’s there yo weed out dissidents. Social media platforms are there so people who do not have a voice can have one. Whilst this storm was brewing, @ALT_uscis was quiet responding only with a pin of the first amendment act. One thing for sure is that it puts the issue of immigration in the spotlight and forced people to think and talk about it more. The account followers tripled in a matter of days and the government’s ploy to silence criticism gave the people a very large and loud bull horn. By the end of Friday, the American Civil Liberties Union had expressed that it would stand behind Twitter and actually file documents on behalf of the anonymous @ALT_uscis account owners. The DHS has since withdrawn its summons and in the light of that withdrawal, Twitter also withdrew its lawsuit. Personally I think it’s just Twitter using it as a marketing scheme, free press and all that. They’re all about free speech yet they ban 20 of my accounts. still a good move though , people dont want to be restricted by shitload of rules and put in frames , registering to social media like it’s a job interview. In Twitter’s eyes, they’re for free speech but only when it suits them or when they have left wing views. Just ask all the users who have been banned for showing anti-mass immigration & anti-EU views. Twitter has lost so much money it’s ridiculous. I invested in them a while ago and was pissed to see their quarters a few years back. Bad choice on my half, but whatever. They’ve also got some substantial protection of their user base to do by going after the orange king.